Thirty years ago today, Steve Jobs, just 29 years old, took to stage in an event that would define his career forever. On January 24, 1984, Jobs unveiled the Macintosh, a computer which would revolutionize the industry forever. Jobs’ device took years of work and the perfectionist would not stop until his product was perfect. His love of perfection and minimalism defined who he was and revolutionized countless industries. Today, the Mac lives on, a revolutionary machine, in various forms. Customers can purchase a MacBook Pro with Retina Display, MacBook Air, Mac Mini, iMac, or the newly redesigned Mac Pro. 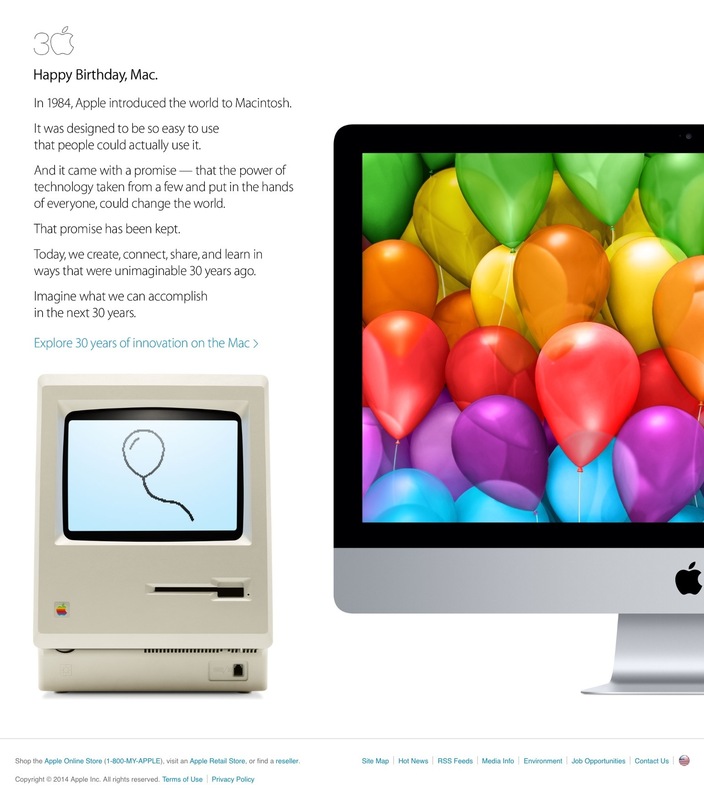 Apple today changed its homepage to commemorate the thirty year anniversary. Various celebrations are also being held today and this weekend around the globe. Feel free to enjoy the video below, a historic event and landmark in tech industry. This entry was posted in Apple, Breaking, iOS, Mac, Tech Industry, Uncategorized and tagged 30 years, Apple, iOS, Mac, mac 30, macbook. Bookmark the permalink.